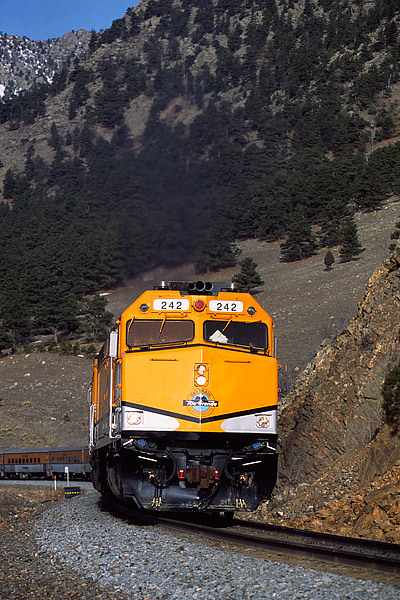 The Ski Train is seen moving up Colorado's Front Range at Tunnel One just west of Arvada. The Ski Train is making its way from Denver to the Ski Area at Winter Park. The train will continue to climb upgrade to the eight mile long Moffat Tunnel. When the Ski Train reaches the end of the eight mile Moffat Tunnel it will have arrived at Winter Park. Photo © copyright by Thomas Mangan.